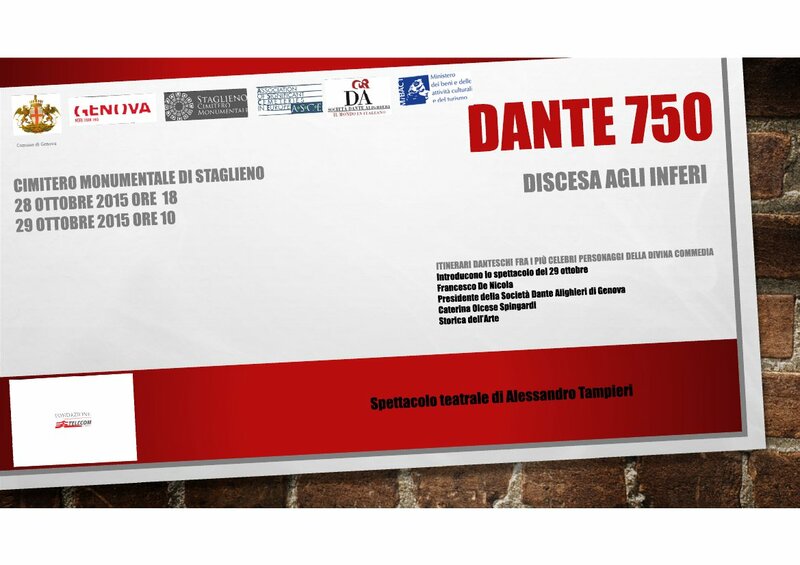 Association of Significant Cemeteries of Europe: The Monumental Cemetery of Staglieno hosts "Dante 750. Descent into Hell"
The Monumental Cemetery of Staglieno hosts "Dante 750. Descent into Hell"
28th – 29th October 2015 The Monumental Cemetery of Staglieno, Genoa - Italy, hosts Dante 750. Descent into Hell, a performance by the actor and director Alessandro Tampieri. The performance was already held with great success in Bologna and Trento. Now Genoa wants to have a new experience doing it in the Cemetery of Staglieno. Alessandro Tampieri plays a selection of the most famous verses of Dante's Hell in one of the most beautiful and evocative location: it will be a special evening walk, at the discovery of some of the artistic treasures of the monumental cemetery. 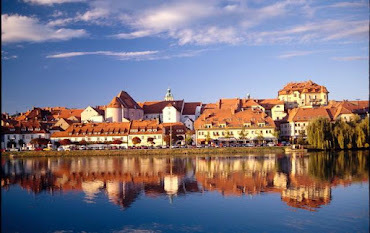 The performance held on 29th October is addressed in particular to students. Two important academics have been invited: Francesco De Nicola, lecturer at the University in Genoa will speak about Dante and his modernity, Caterina Olcese Spingardi, Art Historian at Soprintendenza Belle Arti e Paesaggio della Liguria, will speak about the Cemetery of Staglieno.